Losing weight is such a difficult task and sweating it out in the gym can make it even more daunting. If you wish to lose weight, then you need to do a lot to achieve good results. The task seems tedious to some people as it takes a lot of determination and dedication. Weight reduction takes a lot of time as well when you take the normal route. 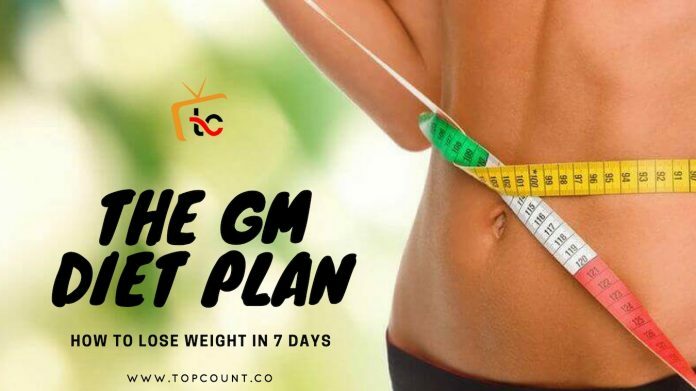 However, if you wish to lose weight in the shortest possible time then we have the best possible diet plan that will help you in losing weight in 7 days flat! Known as the GM diet, this regime will help you in losing at least 5-8 kgs. This diet plan requires you to eat one category of foods on a few days and a combination of foods on the others. The best part of this diet is that it helps in the reduction and maintenance of a slimmer body. This is one of the most well- known and revolutionary diets that has gained a lot of recognition recently. Let’s dive in deeper to know more about this diet and if it really works in reducing as much weight as it claims. If this seems practically impossible, then you can give it a shot to achieve desired results. You just need to follow it closely and you will be able to see the weight loss for yourself. Consult your doctor if you have any medical conditions. Many people have a doubt about how effective this plan is since all you require are 7 days! To know how far this plan can help, you need to understand how it works. 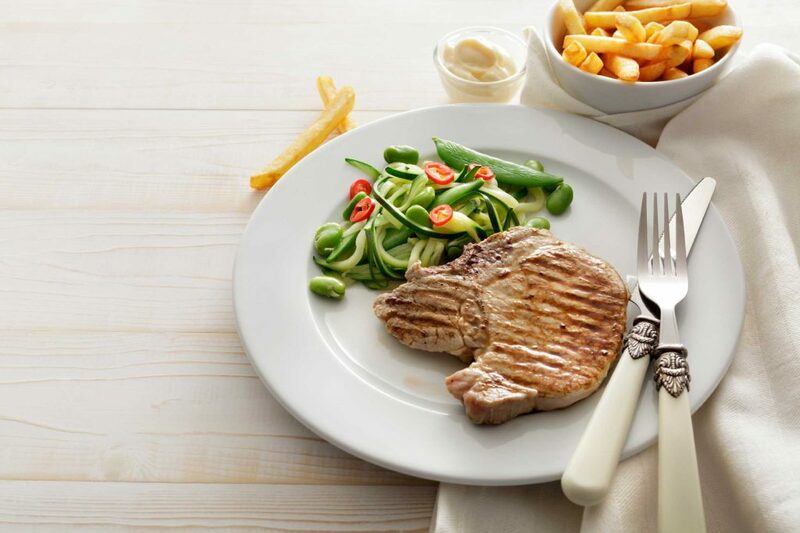 The GM diet requires you to eat an amalgamation of healthy proteins, fibres, vitamins and very little carbohydrates. This will help you substantially in flushing out toxins from your body and thereby helps in reducing weight. People who follow the GM diet need to consume 2 litres of water everyday which helps in aiding in faster digestion. Consuming water stimulates bowel movement and urination which removes toxins thereby leading to weight loss. Has the GM Diet Worked in the Past? Eventually, everything boils down to one simple question which is if the diet has worked for people who have tried it. People wanting to try this diet have been found looking for more information on how effective it is. According to a survey, when compared to other diet plans, GM diet has been 85% effective in making people lose at least 4 kilos in one week. On the other hand, many other diets have been successful in making dieters lose only 1-2 kilos. The GM diet involves the intake of extremely healthy food including raw fruits, boiled vegetables and minimal intake of meat which is responsible for its effectiveness. Over the 7-day span, there is well defined plan that you need to follow. We have mentioned all the foods you need to eat along with a sample meal chart below. Along with these foods, you must consume at least 8-12 glasses of water. You can also drink cabbage soup whenever you feel hungry. However, you can only consume a maximum of 2-3 bowls. On the first day, you can only consume fruits throughout the day. Any fruit except for banana can be consumed on this day. However, eating a good quantity of melon is the best. It helps in accelerating your weight loss goal. 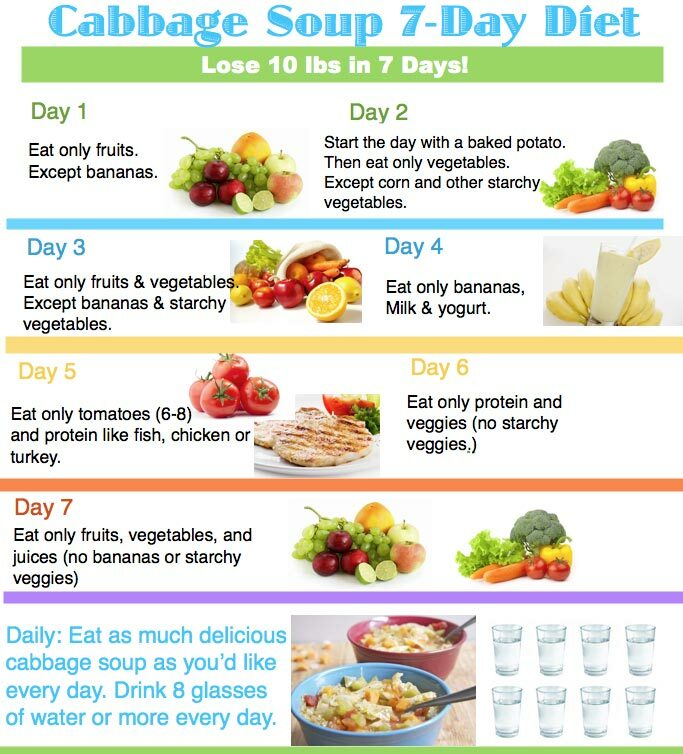 On day 2, you can only consume vegetables either cooked or raw. You can eat as much as you wish to, but potatoes can only be eaten in breakfast since they are the only carbohydrates of the menu. Fiber and vitamins in vegetables have fewer calories and will keep you full for longer. The third day menu is a combination of the first and second day. You can eat fruits and vegetables, but you will have to skip potatoes and bananas. Your source of carbs this day are fruits therefore potatoes can be omitted from the diet plan. This will initiate the burning of fat from the body which will help you in losing weight. On the 4th day, you need to eat only milk and bananas. This day can be slightly restricting as you can eat only 6 large bananas or 8 small and 3 glasses of milk throughout the day. It is always better to drink skim milk if possible. Make sure that you do not consume anything else as a snack as this is one common mistake made by many. On this day, you might feel a tad bit faint as you will not be consuming any carbohydrates, but it is important that you understand that the detoxification is the reason for the same. On this day, you can consume vegetarian as well as non-vegetarian food. The latter can consume chicken or fish and the former can consume paneer or tofu. You must also eat 6 whole tomatoes throughout the day. Brown rice can also be consumed on this day. Tomatoes provide fiber and the meat and paneer provide protein. On this day, you should consume up to 12 glasses per day to flush out the extra protein consumed. Protein takes more energy to digest which ensures that more fat is burned. The 6th day menu is almost as same as the previous day menu. The only difference is that there are no tomatoes included in today’s diet. You can consume brown rice, meat, vegetarian protein sources and unlimited quantities of vegetables excluding potatoes. You will feel a lot lighter by this day and will notice a substantial difference in body weight. The Day 7 or last day of the GM diet is a no meat plan where you can consume brown rice, juices and vegetables. You can also prepare a pilaf or pulao with brown rice, sprouts and vegetables. When you have followed the diet for seven days, you will notice that you have lost at least 5 kgs. You will feel much lighter than yesterday and you will also notice a subtle difference in your skin which will have a subtle glow. This diet is the most effective when you restrict the quantity that you eat after the first three days of the diet. We have designed a special sample plan for all seven days. You can follow this plan, or you can find alternatives based on this plan. If you are allergic to the above-mentioned foods, there are a few alternatives you can follow. These foods must have the same nutrients and calories. For instance, on the bananas and milk day, you can consume bananas and figs. If you are a vegetarian, you can skip the meat and consume cottage cheese instead of it. Apart from the diet mentioned, you can consume Coffee without milk and sugar, green tea, cabbage soup and sprouts. Sugar and Salt – Refined sugar is restricted in any form. You should opt for natural sweeteners such as honey, coconut sugar or stevia. Instead of normal table salt, use unprocessed sea salt or rock salt. Do not touch any packages or processed foods. Foods which are a part of the diet like fruit juices and soups are available in packaged form. It is therefore better that you do not consume any such foods. Freshly extracted juices and home cooked soups are required. Stay away from unhealthy fat like refined oils and shortening. Consume ghee, coconut oil and natural butters. Dried fruits are not included in the fruits list. They are high in fat and calories. If you are allergic to Bananas, you can consume Apricots, dates, nectarines and figs. Oranges can be exchanged by peaches and Grapefruit. Guavas can be substituted by Green Apple. Note: For breakfast, eat apples and melons. These are fat cutters and can make you lose 3 pounds. Apart from consuming the above mentioned foods, you will also have to do a few light exercises to trigger mobilisation and better fat loss. You should not perform strenuous exercises as you will be consuming very light foods. You can do exercises in the morning or evening which will enhance the results that the one-week GM diet will give you. To maintain the weight loss that this diet will give you, at least ten minutes of exercise will give you better metabolism. Yogasanas like Anulom vilom, Surya Namaskar, Shavasana , Bhujangasan and Kapalbhati. Add 3 spoons of lemon juice and 2 spoons of honey to warm water and consume it. Drink this in the morning for all 7 days. Consume whole fruits. Avoid fruit juices which can only be consumed on day 7. Do not drink water when you consume fruits. Wait for half an hour before doing so. Try to drink 15 glasses of water for optimum results. If you cannot perform the above-mentioned exercises, make sure that you take a walk for 45 minutes at least. If you are eating a salad, make sure that you add fresh herbs, wine, vinegar, lemon and garlic to it. Do not use any store-bought dressings. Vegetables like peas, cabbage, corn and asparagus are the best for losing weight. Avoid beans like black beans and white beans as they contain high calorific value. GM Diet is one of the most effective way of losing weight which has a success rate of 80% and above. This diet removes all the toxins from the body and provides you with healthy skin. The water, fruits and vegetables you consume will help in improving your metabolism in the long run. You can lose weight without any exercises. However, these exercises mentioned above will help you in losing more weight. You can lose weight in areas such as stomach, waist and thighs by following the GM Diet. Since during the first three days you will not be consuming any protein, you might experience pain in muscles. You can experience hunger pangs in the first two days which might lead to headache. This diet is low in carbohydrates which causes a loss of energy. The GM diet is an overall healthy diet, but it does deprive you of many nutrients. After you lose weight, you can experience eating disorders, lethargy, loss of energy and tiredness. To come back to your normal self as well as maintain the weight you have lost, you need to come back to a normal diet which does not deprive you of carbs. You can consume healthy carbohydrates to maintain the weight apart from consuming other fruits, vegetables and proteins. Try to control your portions and include all kinds of foods in your diet to keep it balanced and to maintain the weight you have lost. Avoid gorging on high calorie and fat laden food right after the diet which can lead to a sudden weight gain as well. Overall, GM diet does help in losing weight, but you need to look at the pros and cons before you decide whether you wish to follow it or not!